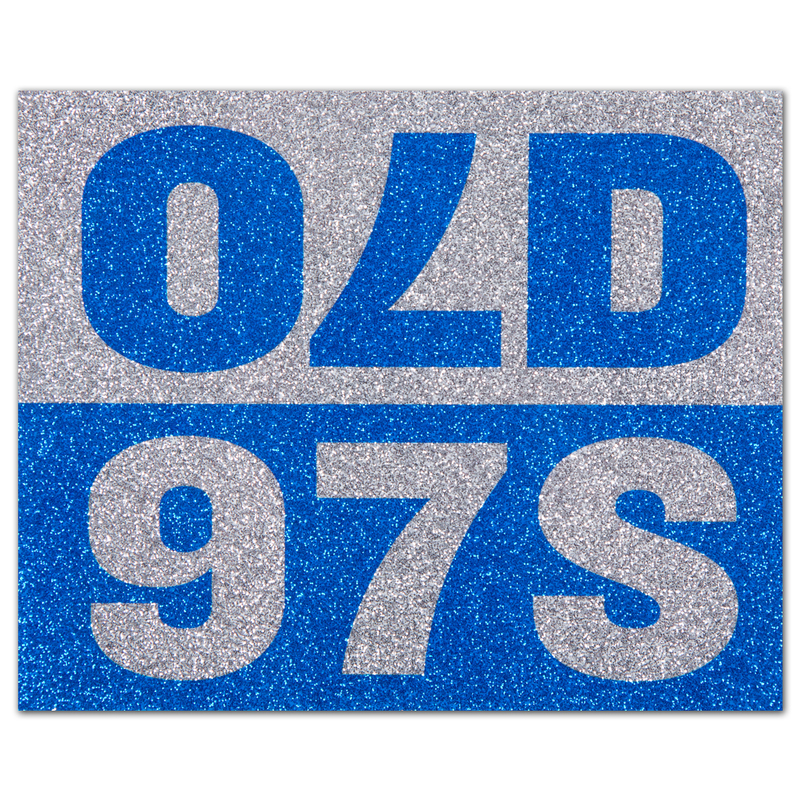 Old 97s - Sparkle Sticker. Dimensions are 5"x4"
LOVE!!! Cant wait to slap in on my 300 ZX, pop out the T-tops &amp; blast the Old 97’s! The sparkliness of it is amazing! Great sticker! VERY sparkly and fun!